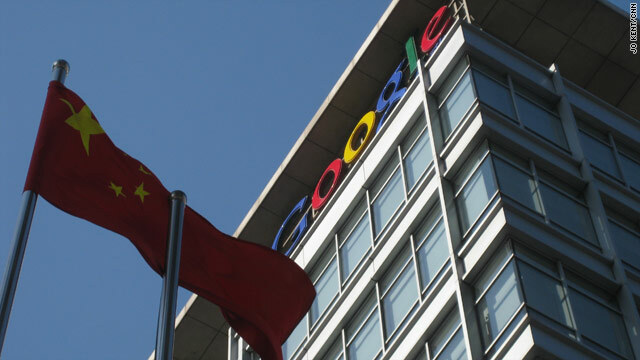 Google says it is reviewing the feasibility of its business operations in China, citing the targeting of Gmail accounts of Chinese human rights activists. (CNN) -- Foreign correspondents in at least two Beijing, China, bureaus of news organizations have had their Google e-mail accounts attacked, with e-mails forwarded to a mysterious address, according to the Foreign Correspondents' Club of China. In an advisory posted on its Web site, the organization advised members how to check if their Gmail had been compromised and urged caution when clicking on links and e-mail attachments. The advisory did not name the news organizations affected. In September the correspondents' club warned that journalists' news assistants were reporting being the victims of e-mail viruses sent by purported media organizations. One such e-mail claimed to be from an editor of The Straits Times in Singapore. The attacks on foreign correspondents' Gmail accounts follows Google's threat last week to pull its business operations out of China, citing the targeting of Gmail accounts of Chinese human rights activists. In a posting on The Official Google Blog last week, Google's chief legal officer, David Drummond, said that an investigation found that only two Gmail accounts of Chinese human rights activists "appear to have been accessed, and that activity was limited to account information (such as the date the account was created) and subject line, rather than the content of e-mails themselves." However, Drummond noted that the same investigation found that third parties routinely accessed the accounts of "dozens of U.S.-, China-, and Europe-based Gmail users who are advocates of human rights in China" via malware or phishing scams.